One, two, Freddy's coming for you! 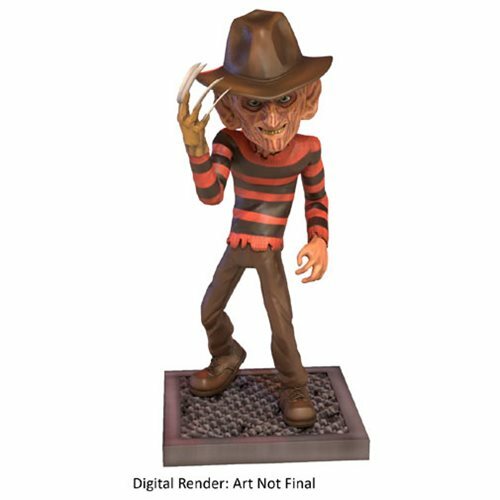 Cryptozoic's terrifying Freddy Krueger vinyl figure takes him out of the A Nightmare Elm Street film series and puts him right into your collection. The first release in the horror-inspired Vinyl Terrorz line, it features the character's trademark gruesome face, fedora, and clawed glove. The 7-inch figure proves that after decades on the big screen, Freddy is still the stuff of nightmares.